Yes, you read that correctly. The Brady Campaign is going to use a Freedom of Information Act request to find out exactly why they can’t suppress the freedom of information. Welcome to the 2018 theater of the absurd. If you’re not plugged into this drama, I’ll summarize briefly. Cody Wilson is an interesting person. His political views are a blend of free market libertarianism and anti-authoritarianism, but he has a background in law, and he doesn’t break the rules. He’s involved in several entities, including “Dark Wallet,” which is a cryptocurrency project focusing on anonymous money transfer, (think Bitcoin) and Hatreon, which is a crowdsourcing foundation set up specifically to house anyone who was kicked out of other crowdsourcing foundations or online payment systems for their political views. Given today’s climate, it ends up housing a noticeable number of white supremacists and such, but it wasn’t intended specifically to cater to those people. As I understand it, it’s purely a free speech project, and they’d likely take on anyone from black supremacists to communists to old ladies knitting clubs without asking questions. …that’s not a gun, is it? Well, technically, yes it is. The main reason AR-15s are popular among gun enthusiasts, is that they’re Build-A-Bear rifles made of interchangeable parts, that enthusiasts can create on their own out of many disparate parts from many different manufacturers, or even out of parts they build themselves, which gave the ATF a real headache defining what constitutes “the gun” part of the gun. What thingy do you put the serial number on? What thingy do you enter into the ATF “Access 2000” system when you’re doing gun tracking? The barrel? The stock? 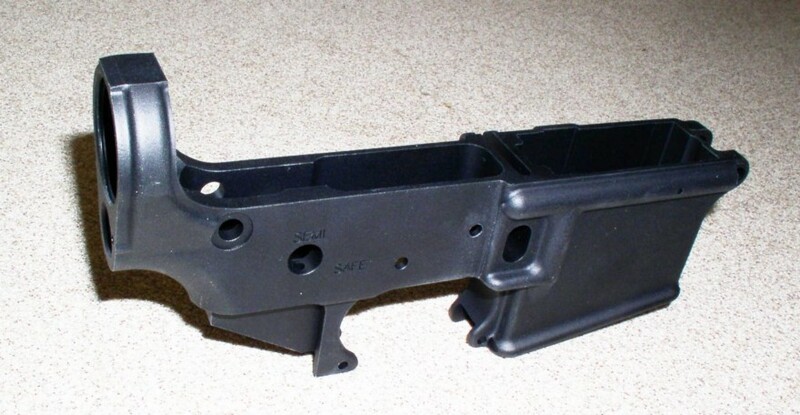 The ATF deliberated on the question, and decided that the “lower receiver” was the part they were going to identify makes up “the gun” for registration purposes, which is that thingy in the image above. All the different parts you buy to assemble your gun attach onto that thingy, or attach onto other things that attach onto that thingy. So in a somewhat technical sense, and an explicitly legal sense, that’s the “gun.” That’s the piece for which you file a Form 4473 to buy at the gun shop, which initiates your background check. 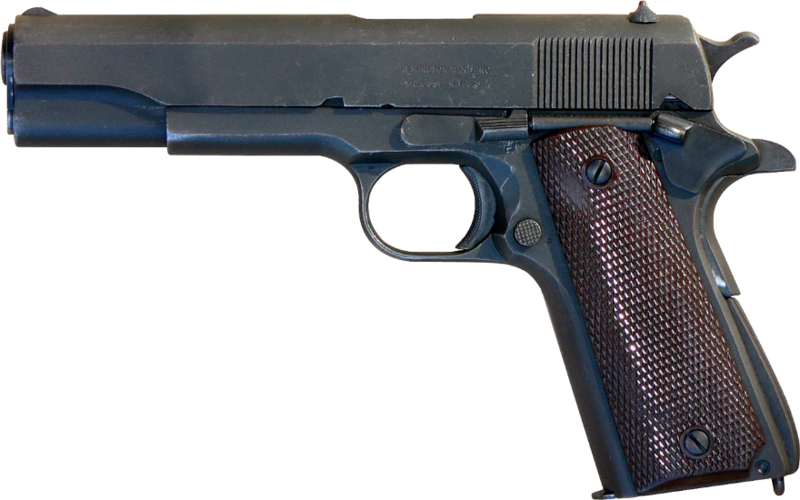 I’m led to believe the newer versions of the Ghost Gunner will also mill pieces and parts that go into building a 1911 pistol, the over 100 year old semi-automatic pistol design used as a standard issue sidearm by two dozen nations in various wars since World War I. But none of the current freakoutery is about that. The freakoutery is about his other, original project, The Liberator. A true, almost entirely plastic, 3D printed gun. Unlike CNC mills, which carve things in a subtractive way from wood or metal blocks, 3D printing technology builds things in an additive way by dripping tiny beads of hot plastic onto themselves, until the hot plastic builds itself into a shape, which again is specified in a CAD pattern file. The Liberator is almost entirely plastic, incorporates one metal piece in it so it can’t beat a metal detector (“follows the rules”), and has a magazine size of exactly one bullet. The barrel is made of plastic too, and imparts no ballistic improvements on the shot, so it’s basically a housing to hold a bullet still while you make it go boom. It’s garbage for a gun, roughly equivalent to holding a centerfire cartridge with a pair of vice grip pliers and hitting the firing pin with a leather punch. You would probably rather bring a knife to a gunfight than a Liberator. But that’s what everybody’s freaking out about, so let’s take a tiny bit of time to unravel the freakoutery. Does an individual need a license to make a firearm for personal use? No, a license is not required to make a firearm solely for personal use. However, a license is required to manufacture firearms for sale or distribution. The law prohibits a person from assembling a non–sporting semiautomatic rifle or shotgun from 10 or more imported parts, as well as firearms that cannot be detected by metal detectors or x–ray machines. In addition, the making of an NFA firearm requires a tax payment and advance approval by ATF. Translation: unless you’re building a restricted firearm or firearm accessory, such as a short-barreled rifle or a silencer, or you’re prohibited from owning a firearm for other reasons such as a felony conviction or a domestic violence issue, then you can already build whatever you want for personal use. Selling them requires a bunch of regulatory hoops. So the Liberator, or even technically the Ghost Gunner, have no impact on what you can do in your garage. You could already do this stuff. In fact, anyone with a CNC machine and a little aptitude could do anything the “Ghost Gunner” does well before Cody showed up. He’s just media savvy enough to spin the freakoutery into what amounts to an elaborate CNC machine selling business. If someone were wanting to get into the murder business, all they’d need is one handgun. You can pick up a pretty reasonable semi-automatic 9mm handgun for $500 in any gun shop, which will last you a lifetime or longer. 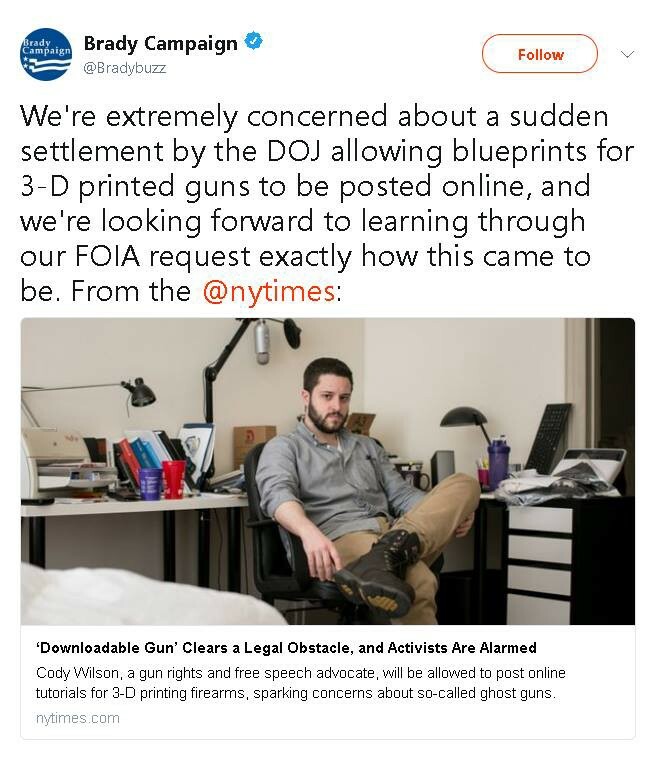 A 3D printer capable of printing “Liberators” will run you several thousand dollars minimum, and you’d be making an unreliable, inaccurate, one shot pistol you might not be able to put ten rounds through before it melts or explodes. To say nothing of the fact that you’re only likely to get one shot off in a gunfight before the other guy shoots you, stabs you, or hits you on the head with a frying pan. We should hope and pray criminals would use these. 10% to 15% of guns used in crimes are simply stolen. Over half are black market cash purchases, either from shady FFL dealers or from others on the street. Most criminals, when polled, indicate that getting guns is easy. More on all that here. Based on the situation on the ground, the impact of the Liberator on gun crime, which I presume is the thing everyone’s worried about, stands to be less than zero. Personal ownership of desktop-sized 3D printers is still very small. Most 3D printing is done by businesses, largely in prototyping parts that will eventually go into production by much more efficient means. By all reasonable estimates, the number of 3D printers owned by individual citizens is less than a million across the USA, likely closer to 300,000. 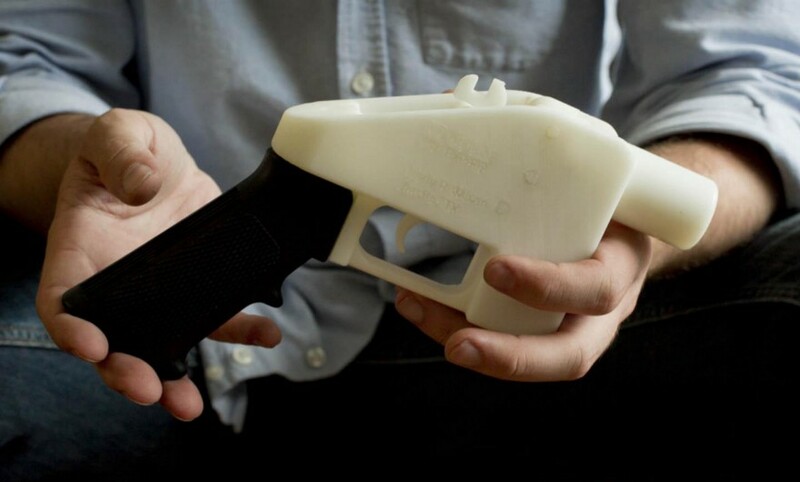 Let’s pretend for a moment that every single 3D printer owner decided to print a gun. That’s an asinine thing that will never happen, because non-gun owners aren’t going to want to shoot a plastic gun, and gun owners don’t need a plastic gun, but let’s pretend anyway purely for the sake of argument. That would be 300,000 new plastic guns in the hands of citizens, out of at least 350 million total guns. That entirely unrealistic hypothetical case would mean an increase in guns per capita in our country of 0.086%. So if someone could explain to me what all the freakoutery is about, I’d love to hear it.